The Kilberry Inn, a small restaurant with room on the glorious West Coast of Scotland, is a recipe for relaxation, with a warm welcome, a sense of informality and wonderful food, providing the perfect antidote to a busy lifestyle. This unassuming little red tin roofed Inn with roses is situated mid way between Lochgilphead and Tarbert in Argyll on the scenic B8024, (30 miles of winding single-track road between Lochgilphead and Tarbert in Argyll that follows the coast around the Knapdale peninsula overlooking the Inner Hebrides). 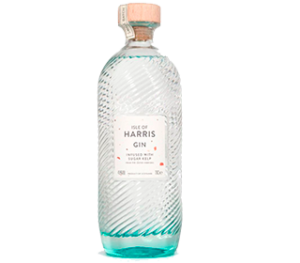 The award-winning Isle of Harris Gin is the first spirit release from our disitllery. Order Harris Gin online before your visit and it will be waiting for you on arrival.